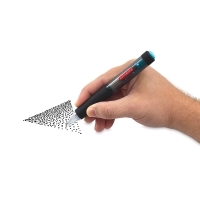 Use this rechargeable automatic pen to create beautiful, intricate, permanent stippling effects in your drawings — without the wrist strain! 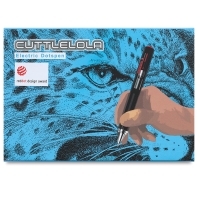 An amazing tool for professional artists, the Cuttlelola Electric Dotspen helps even beginning artists master professional stippling and drawing skills more quickly. Use it on a variety of papers for decorative drawing, comics, manga, pen-and-ink drawings, pointillism, stippling, zentangle — even doodling. Push-button operation engages the nib and adjusts the speed to control the direction and spacing of dots, and also achieve contrast of light and shade (slower speed for light shading, faster for darker shaded areas). 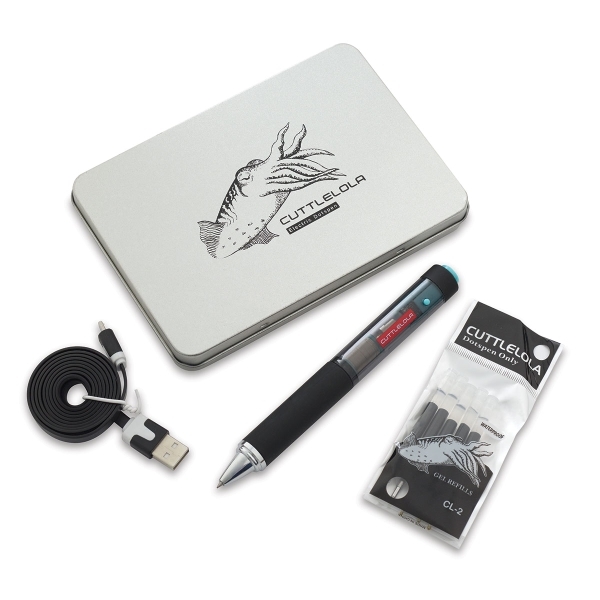 Equipped with a rechargeable lithium battery that powers a magnetic coil-driven mechanism, the Cuttlelola Electric Dotspen can be plugged into a laptop or PC using the included USB charger — or you can work unplugged for about an hour, then recharge! The set includes the Cuttlelola Electric Dotspen, a USB charging cable, five ink refills, an anti-magnetic box, and operating instructions. ™ Cuttlelola is a trademark.